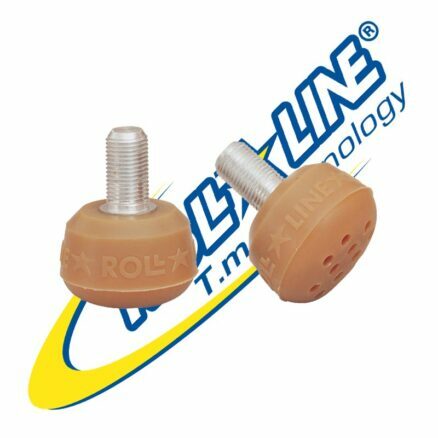 Action Adjustment Nuts for “NON-Click Action” (each) – Skates U.S.
Roll-Line Adjustment “NON-Click-Action” Nuts or also called “Adjustment Nuts” are engineered to be light-weight and withstand the use and abuse of high level competitive Skating. 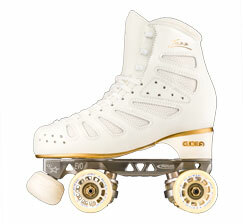 Roll-Line Adjustment “NON-Click-Action” Nuts or also called “Adjustment Nuts” are closest to the Skating Surface. 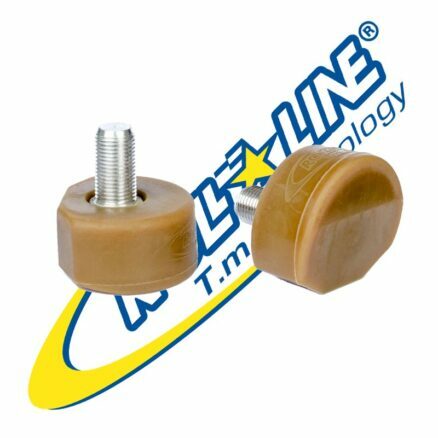 These specially designed Nuts have a NyLock insert to hold the Adjustment Position and are the same for ALL Roll-Line “NON-Click-Action” Skate Frames. The back side surface of the “Adjustment Nut” actually fits into and goes through the Lower Suspension (Cushion) “NON-Click-Action” Cup. Simply Adjust the Lower Suspension (Cushion) “NON-Click-Action” Nut or “Adjustment Nut”. The “Adjustment Nut” adjusts the tension desired on the Suspensions (Cushions). If the Adjustment does not seem to stay as adjusted, the Nylock insert in the “Adjustment Nut” may be worn out. If so, please replace the “Adjustment Nuts” to renew the settings and keep them. 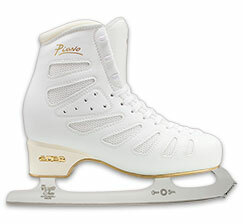 It is suggested that if the Skate Frames are being used for several disiplines of Roller Figure Skating, such as Figures (where fairly Tight Action is required) and Dance (where fairly Loose Action is required), that Skate Frames with “Click-Action” be employed. 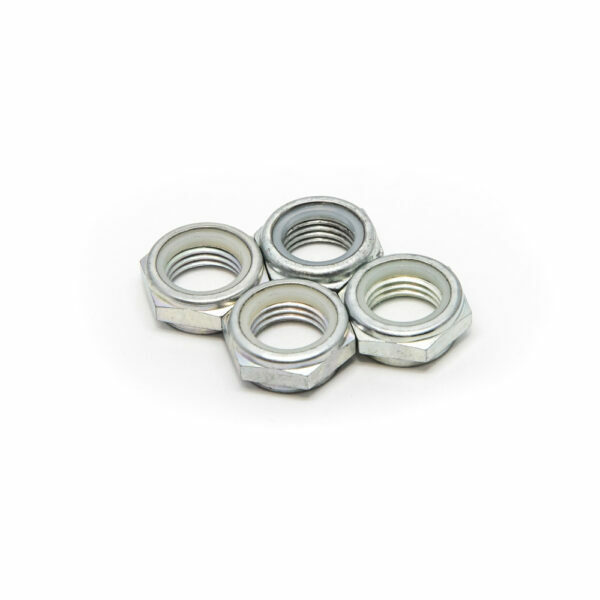 The “Adjustment Nuts” with the Nylock Inserts WILL Wear out if adjusted on a regular basis. 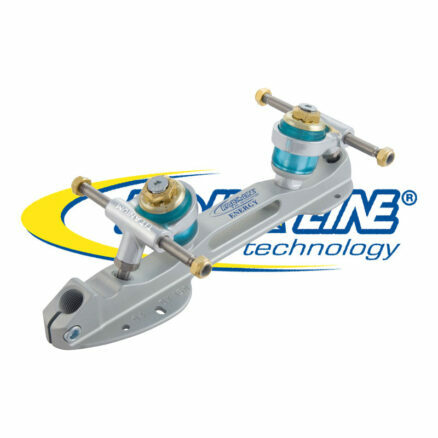 Roll-Line Skate Frames (Variant M and Blaster) that originate with “NON-Click-Action” can be UPGRADED to “Click-Action” Systems, by replacing the King Pin System and other parts, which are included in the 13mm Ergal “Click-Action “04” King Pin Kit with Urethane Cushions. 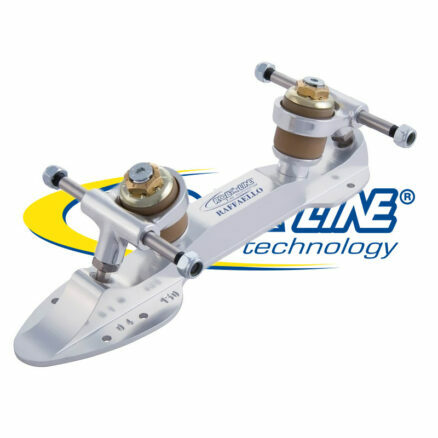 In most cases, when setting up the Skate Tension Adjustments for the first time, it is a good idea to loosen up the “Adjustment Nuts” all the way for all four (4) trucks. This will allow you to count the “Turns or Rotations” and bring all four (4) trucks up to the same tension. It is also recommended to make the Back Trucks (on each foot), be 1/8th ) turn Looser than the Front Trucks. This will allow for easier steering when Skating Backwards. If the “Adjustment Nut” is loosened to the point that it hits and is pushing on the Adjustment King Pin Locking Screw (the Keeper Screw), and more Action (flexibility) is desired in the Suspensions (Cushions), then a softer Suspension may be needed.